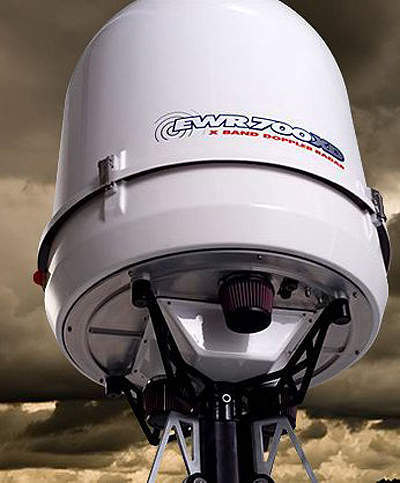 Headquartered in St Louis, Missouri, EWR Weather Radar has been the industry-leader in portable weather radar design since 1982. 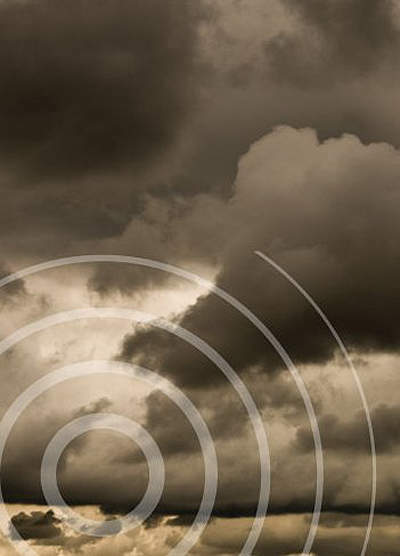 The company’s current product, the E700XD doppler weather radar, leads the charge in offering tactical, state-of-the-art weather prediction and surveillance tools. At present, EWR’s weather radar systems are in the hands of a broad spectrum of end-users. They vary from domestic and foreign governments as well as US and international corporations, service providers such as broadcasters and community emergency readiness agencies, local and national weather services, and small to mid-sized airports. In recent years, EWR has been the primary supplier of portable weather radar systems to the US military. The new E700XD has been selected by two branches of the US military after a lengthy trade study and comparison between several vendors’ radar systems. One of the most distinctive components of an EWR weather radar system is not found on the system, but in the optional service contract which is available with every system. Unlike its competition, EWR’s service contract provides 24/7 support service 365 days a year. Should a problem arise, the company’s response time is within hours, not days, of a call. When necessary, EWR has the capability of sending a repair team anywhere in the world to resolve a situation. Another hallmark of EWR weather radar systems is its ongoing vigilance in seeking out new technologies for its equipment. EWR maintains close affiliations with a broad spectrum of government and educational entities, including taking part as an industry partner of the collaborative adaptive sensing of the atmosphere (CASA). 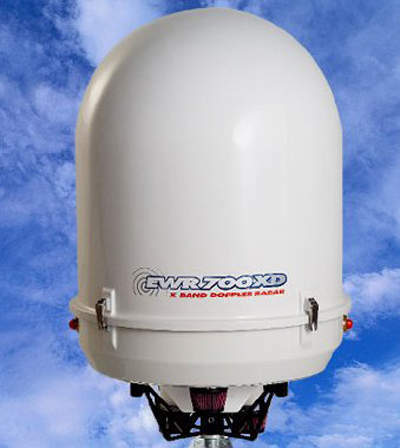 The E700XD sets the new standard for portable doppler weather radars. The E700 combines the latest state of the art solid state technology, industry leading digital signal processing and EWR’s innovative mechanical design. The result is the most compact, portable and advanced Doppler weather radar available. Where previous doppler radars utilized tube transmitters (klystrons, magnetrons, TWTs, etc.) that require frequent tuning and are prone to failure in harsh environments such as those found in mobile tactical applications, the E700XD uses a solid-state transmitter which is virtually maintenance-free and consumes far less power. Although the E700XD transmits less power than traditional tube-based systems, it uses pulse-compressed waveforms to provide greater radar sensitivity. Traditional radars transmit short pulses at high peak transmit power to provide radar sensitivity (through the high transmit power) while providing short range resolutions (through the use of short transmitted pulses). The E700XD’s pulse compression transmitter transmits long pulses at lower power levels (providing the equivalent sensitivity as a short pulse at high power) while compressing the pulse in the signal processor to provide the same short range resolution obtained by transmitting a short pulse. The benefit is that the E700XD can provide equivalent or better sensitivity and range resolution compared to a 10Kw – 12kW radar while transmitting a fraction of that power. The E700DP is a dual polarized version of the E700XD doppler weather radar. The DP incorporates the same advanced solid state technology and features found in the E700XD. The E700DP comes standard with a 30in antenna for maximum portability. Optionally available is a 48in antenna for trailer, vehicle or fixed mount radar installations. The E700DP is the ideal choice for hydrology studies or as a gap filling radar. EWR's E700XD has been deployed in Africa to support oil platform flight operations. EWR is an industry leader in portable weather radars. The company’s current products offer tactical, state-of-the-art weather prediction and surveillance tooling. EWR, an industry leader in portable weather radars, has announced it has delivered the first production of air force portable doppler radars. The company’s current products offer tactical, state-of-the-art weather prediction and surveillance tooling. EWR, an industry leader in portable weather radars, has introduced the E800 series of high power, large format radars. The company’s current products offer tactical, state-of-the-art weather prediction and surveillance tooling. EWR, an industry leader in portable weather radars, has been awarded ISOL 9001 certification. The company’s current products offer tactical, state-of-the-art weather prediction and surveillance tooling. EWR, an industry leader in portable weather radars, has delivered E700XD portable radars to US Marine Corps' METMF system. The company’s current products offer tactical, state-of-the-art weather prediction and surveillance tooling.